state election. How Come? It's official. The 2018 Osun State governorship election has been declared inconclusive by INEC. 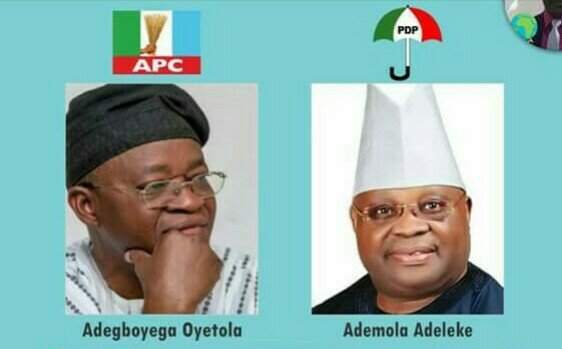 The reason is because the difference between the two leading candidates - Ademola Adeleke (PDP) and Isiaka Gboyega (APC) - is less than the number of votes in the areas were voting was cancelled due to irregularities.